Patricia and Lydia have been friends and collaborators since they first met as teachers at the Austin Discovery School in 2006. They both left ADS in 2010 to follow other pursuits and met once again as teachers at the Inside Outside School in Phlugerville Tx. They co-created Root to Rise together in 2011 while working with high school youth, as they saw a big need to give young women opportunities for growth that many women do not encounter in our modern cultures. Both Patricia and Lydia went their separate ways in late 2012. Lydia got married and moved to Australia- to plant the seeds of dance as a powerful tool for meditation and self transformation. 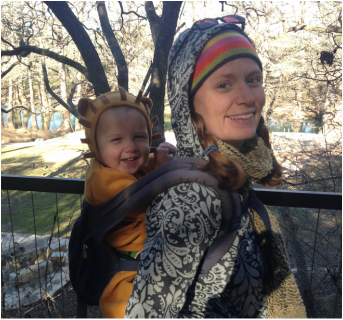 Patricia travelled around the globe with her husband for a year and then came back to Austin to teach before choosing to become a momma. Both of these empowered women are advocates of living life to its fullest, following their dreams and living extraordinary lives. Patricia and Lydia wish to offer young women coming into adulthood powerful female role models and mentors who will acknowledge and see their potential to make a difference in the world. They hold safe containers for young women to express the totality of what it means to transition from girl to woman. And they also create clear pathways for young women to feel empowered and be given the space to truly dive within and know themselves. What better world could we live in, than a world where all young women feel confident, capable and know their greatness from the inside out? This is the world Patricia and Lydia hope to see possible through giving girls the opportunity to become women through their rites of passage journey. Lydia is a student of life and a teacher by nature. She has travelled the world sharing her gifts and accumulating wisdom in the areas that inspire her. She has worked with people of all ages and various walks of life; from business men and their children in Japan to village people in the Amazon. She has been drawn to working with young people because she loves to help make learning fun and engaging. She has been a primary school teacher, a high school teacher and mentor, she has worked with toddlers and pre-schoolers and with adults. Her style is authentic and real, empowering and uplifting. Lydia has a Masters degree in Education and Creative Arts in Learning. She is the director of Dancing Freedom and founder of Root to Rise and teaches classes and workshops throughout Australia and the US by helping others to tap into the wisdom and strength that already exists with themselves. One of her favourite roles is in hosting rites of passage experiences for teenagers, to help them transition to adulthood in a conscious, supported, and embodied way. Patricia has always had a passion for empowering others. The flame was ignited when she was a teenager working with children who have special needs at a summer camp in Center Point, Texas. From that point on she continued to be an advocate and teacher to children and adults with special needs. Her passion to help other’s reach their full potential has inspired many adventures across the globe. She has be been blessed with the opportunity to learn more about herself and other cultures through working and volunteering in several different countries. Her travels also inspired a study of many types of meditation, yoga, and other spiritual practices that help guide an individual’s life. 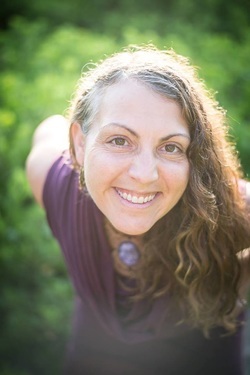 She began working as a birth Doula and midwifery apprentice in 2009 and watched women find a deep beauty and power within themselves that they never even knew they had. When women are nurtured by other women in a safe space through the extreme challenges that present during the transformation into motherhood it becomes a sacred and empowering experience. She wanted to offer the same empowerment to young girls transitioning from girl to woman. And thus collaborated in creating Root to Rise. In May of 2014 she began her own rite of passage into motherhood and over the months to come experienced very difficult and at times painful challenges. However, she, like so many women before her, has come out the other side a joyful, wiser, and more empowered woman. She is even more motivated to guide women as a rites of passage facilitator. Hike it Baby San Marcos branch leader (hikeitbaby.com).